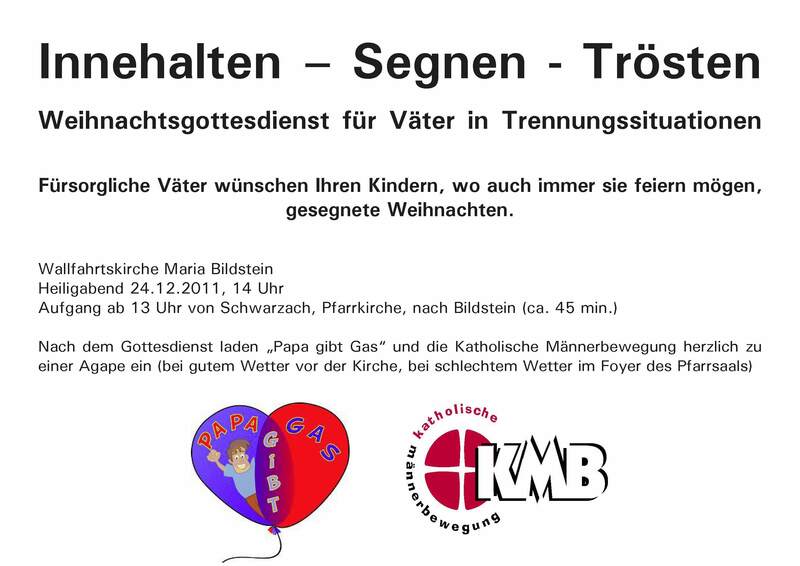 “Papa gibt Gas“, one of the four Austrian member organisations of the Platform for European Fathers (PEF), together with the Catholic church organises a special Christmas Celebration for separated and divorced fathers on December 24 at 14:00 hours, in the church of “Maria Bildstein” in Vorarlberg, Austria. “Papa gibt Gas” sends Christmas greetings to all fathers in Europe and wishes them power, strength, hope and good luck for the future. 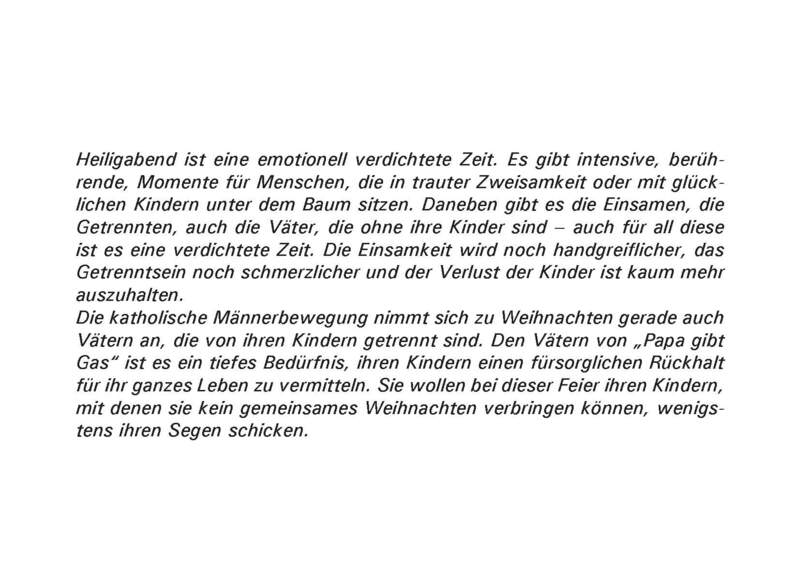 This entry was posted in 2011, Christmas Celebration, Deutsch, Events, Hannes Hausbichler (Papa Gibt Gas - Austria), Member Organisations, Papa Gibt Gas, PEF, Platform for European Fathers, Platform voor Europese Vaders, Weihnachtsveranstaltung. Bookmark the permalink.